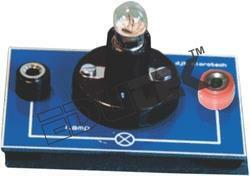 Edutek Instrumentation is a prominent manufacturer of highly reliable solar equipment. Our range of equipment includesSolar Lights, Street Lights, Lanterns, Home Light Systems, Power pack, Solar L.E.D. Systems, Solar Signals, Blinkers, etc. All the products are completely environment friendly and highly efficient. The solar equipment is gaining prominence in remote villages. We manufacture the equipment in fully automatic units. Moreover, the equipment is in strict compliance with international standards. The solar equipment is manufactured from the best raw material, which is sourced from the most reliable vendors. Equipped with connectors (red - black) 4mm Dia. 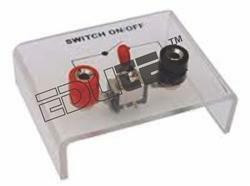 Set 5 of bulbs sockets (12V). With Straight Line Properly constructed model. Complete on base board. drum and necessary linkage. 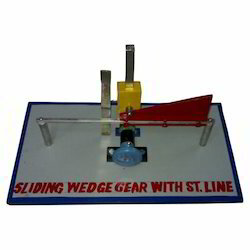 Working of mechanical brake can be demonstrated by pressing the pedal. Mounted on a sturdy base. 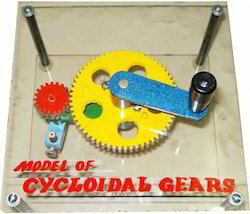 It is very interesting to demonstrate cyclodial motion with this model. The model shows Intermittent reciprocating rectilinear motion in Yoke from Complete mounted on board. 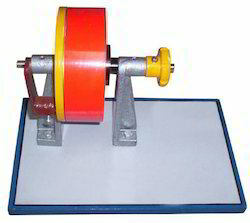 Spur Gears, Bevel Gears, Worm Gears, Rack and Pinion, all inter connected, complete mounted on base board. 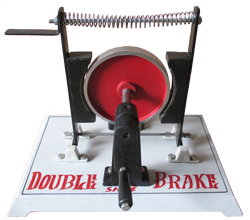 Consists of a brake drum, provided with two levers carrying shoes. A linkage Is used to apply the braking force at the free end bell crank lever. Complete on cast iron machined base. Working on parallel axis, complete mounted on base board.